Welcome to our Christmas 2016 series, we are doing something different! We are looking at Christmas through the consequences of Jesus' birth - from the reigning King back to His birth and beyond! Last time we looked at the shepherds. Today we look at the visit of the Magi or Wise Men from Matthew 2:1-18. These learned men encountered angels, the earthly king Herod as well as the King they were seeking - Jesus! Last time we looked at Jesus' father, Joseph. Today we look at the shepherds from Luke 2:8-20. These ordinary men who encountered angels and the baby Jesus! Last time we looked at Jesus' mother, Mary. Today we look at His father, Joseph from Matthew 1:1-17. Come on in to find out a little more about this quiet man! Last time we looked at Jesus and His birth. Today we look at His mother, Mary from Luke 1:26-38. Come on in to find out! Last time we looked at what two people from the Old Testament, Isaiah and Zechariah, said about the birth and mission of Jesus! 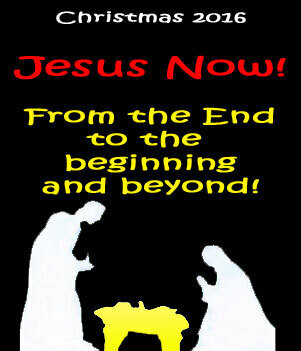 Today we look at the events concerning Jesus' birth as cconveyed to us in Matthew and Luke. Come on in to find out! Last time we completed our look at Jesus the Dying King - succumbing to death! Today we go back to centuries before Jesus was actually born. We look at what two people, Isaiah and Zechariah, centuries before Jesus' actual birth, had to say about this most extraordinary man of all human history. Come on in to find out! Last time we started looking at Jesus the Dying King - succumbing to death! Today we keep on that theme and ask ourselves what has that to do with us as humans? Certainly, we ask ourselves what does it have to with Christmas? Come on in to find out! Last time we looked at Jesus the Risen King - conquering and overcoming death! Today we keep looking back at Jesus, this time Jesus as the dying King - succumbing to death. Why did Jesus die? What were the circumstances surrounding His death? What has that to do with Christmas? Come on in to find out! Last time we looked at Jesus the Ascending King - finishing his time on earth and ascending back to the right hand of God the Father! Today we keep looking back at Jesus as the risen King - conquering & overcoming death. What has that to do with Christmas? What evidences are there for this momentous occasion in history? How do we overcome doubts about it? Come on in to find out! Last time we looked at Jesus the Reigning King! Today we keep looking back at Jesus as the Ascending King - finishing his time on earth and ascending back to the right hand of God the Father! What has that to do with Christmas? Come on in to find out! Today we start by looking at Jesus as He is now! Come on in!